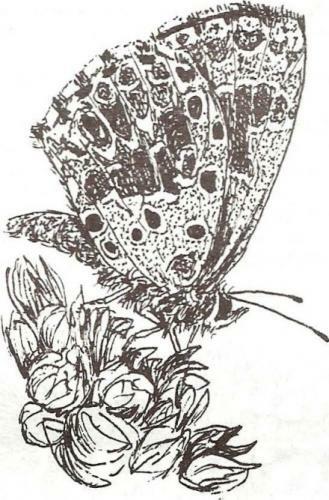 Hermann Staude cordially invites you to spend a participative evening exploring philosophical and empirical aspects of Lepidoptera, not Lepidopterists. We will be exploring every aspect that impacts on our Lepidoptera and what makes them tick. We will be asking new questions such as what can we learn from modern molecular analysis as well as re?visiting old controversial questions such as mimicry. We will explore a specific aspect concerning Lepidoptera each evening where we will be asking the where, when, how, why and what we know questions. The evenings will be conducted in a relaxed yet formally structured atmosphere, which will allow active participation by all present. The subject will be introduced by one person who will deliver a fifteen minute presentation followed by a round robin comments and questions session and culminating in a formally structured discussion and debate session. The evenings are not designed to have a particular outcome or resolution other than leaving participants more enriched and with a better insight on the subject at hand. There are no such things as stupid questions and comments, only stupid people who do not ask questions and pass comment. If you think a question or comment is stupid, then you have not thought about it enough. The most innocent questions often lead to the greatest insight. The most stimulating and rewarding occasions are those where learning and teaching are dished out and received in equal measure by all. If you formulate a hypothesis, be sure to formulate a counter hypothesis and then test both equally. Life begins at the edge of your comfort zone. We must allow the journey to unfold itself. The evenings will be held every second Thursday of the month @ 19h00 in the Ruimsig Country Club, Roodepoort. Space is limited to 30 participants, which will be allocated on a first come first served basis, RSVP hermann@busmark.co.za. There will be no costs apart from the venue costs which we will share. A light meal will be served. Cash bar available. Anyone who has an interest in Lepidoptera and who is willing to participate is welcome. You need not know anything about the subject being discussed. Ego’s, cell phones and other devices need to be switched off during the meeting. You can switch them on again when you leave. No discussions allowed about other people or things that concern Lepidopterists rather than the study of Lepidoptera – we leave those aspects for LepSoc Africa Council to sort out. You may not become personal or display bigotry in any form towards others. Opinions expressed by participants may or may not be those of their own conviction. Devil’s advocates and sceptics are welcome, there will be a stirrer of the evening award. You may not use the word “I”. There will be an “I” counter just to make us aware of how many times we do use this word. Consider others by sticking to your allotted time.